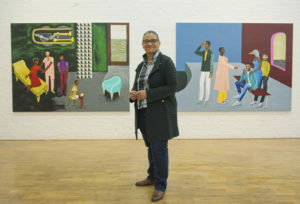 For 'A Woman's Place at Knole', six female artists including 2017 Turner Prize winner Lubaina Himid have responded to the usually hidden, gendered stories of an historic National Trust property in Kent to produce artworks that span painting, sculpture, film and online. Judith Alder reports. A quiet revolution has taken place. The Union Flag that used to fly over the Gatehouse Tower at Knole in Kent is no longer there. 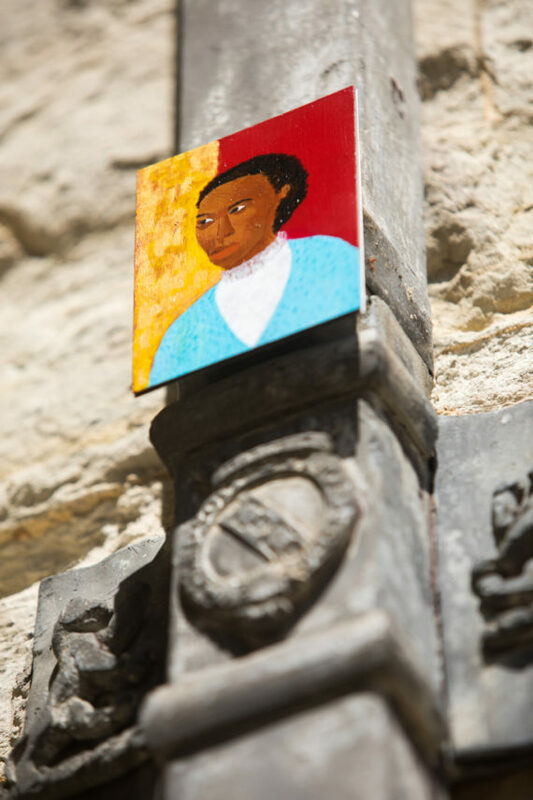 Instead, it has been replaced by Lubaina Himid’s Flag for Grace, a specially commissioned African-influenced work which refers to the life of 17th century laundry maid Grace Robinson, one of the few women of colour to have lived and worked at the historic Knole House in Kent. 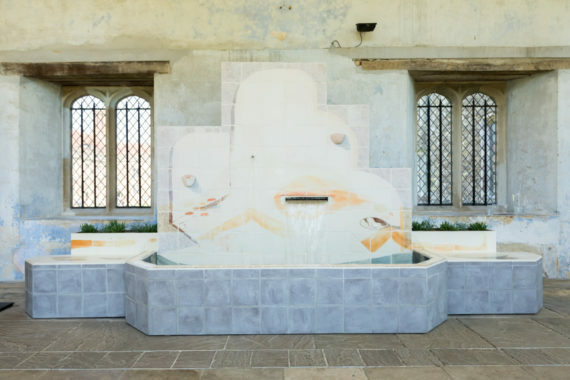 2017 Turner Prize-winner Himid is one of six artists commissioned to make work for ‘A Woman’s Place at Knole’, a project curated by Day+Gluckman which seeks to present an alternative narrative to those traditionally rendered through the lives of the male occupants of historic houses. For curators Lucy Day and Eliza Gluckman, the exhibition is part of a long-term project, begun in 2014, which aims to focus attention not only on untold female narratives but also on the continuing need to promote feminist discourse and pursue equality. “As curators we are used to presenting contemporary art within the spaces of heritage buildings,” they explain. “We understand the weight of historical residue to a site and the force with which it can collide with contemporary thought.” By commissioning art responding to these locations, they aim to facilitate the exploration of women’s experiences across changing societies and culture. A former 15th century palace, Knole has been in National Trust care since 1946. Acquired by the Sackville family in the 17th century, the rules of primogeniture (inheritance by a firstborn son) mean that female narratives at Knole often allude to loss or powerlessness. The six artists have been prompted by the rich history of the house and its occupants to delve deeply in their research, sometimes pursuing new processes in the development of their work as a result. A 20th century inhabitant of Knole, only-child Vita Sackville-West was devastated when inheritance of her family home passed to her cousin, Edward (Eddy). Alice May Williams takes Vita’s story as a starting point for her sensitive twin-screen film, By The Accident Of Your Birth. The work builds upon the uncanny physical likeness of Vita and Eddy and their experimentation with gender identity through a complex layering of sound (incorporating notes from Knole’s own organ) and images. It opens up wider themes of classification and the inflexibility of socially determined categories of gender, family background and nationality. Lindsay Seers explains how she was shown the original handwritten manuscript of Virginia Woolf’s Orlando, described as a love letter for Vita. The manuscript is stored at Knole and Seers says the experience began her engagement with the project. She says: “When you read the book… you can in some ways embody the lived experience of another person and enter a different kind of consciousness. I’m looking for that kind of shifting consciousness about who is actually speaking – is it Vita, is it Virginia, is it you, is it history? 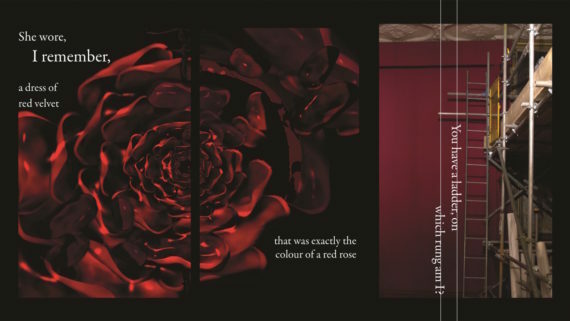 Where is the story?” Seers work, 2052 Selves, is presented as a digital ‘book’ in four chapters to be released throughout the exhibition period and experienced online. The sculptural installation, Innards, by Emily Speed incorporates a range of reference points relating to Vita and her mother Victoria. It begins with the notion of a dressing table, a symbol of privacy and intimacy, which Speed transforms into a tiled and planted spa and fountain sited in Knole’s Orangery. Speed’s hand-painted tiles show glimpses of fleshy limbs and painted makeup pots, suggesting the contrasting public, private and intimate rituals of Knole’s women, while her self-cultivated plants will perfume the spa with Victoria’s favourite scent of Heliotrope . In the magnificent Great Hall, CJ Mahony’s installation, Still Life Still Waiting, connects all of the women whose presence has touched Knole. Huge architectural louvered screens shield a central stained-glass pane depicting a woman’s hands cradling a miniature version of Knole’s Gatehouse Tower. The glass work acknowledges a tradition of patronage while the dark screens point to a tension between what is concealed and revealed. 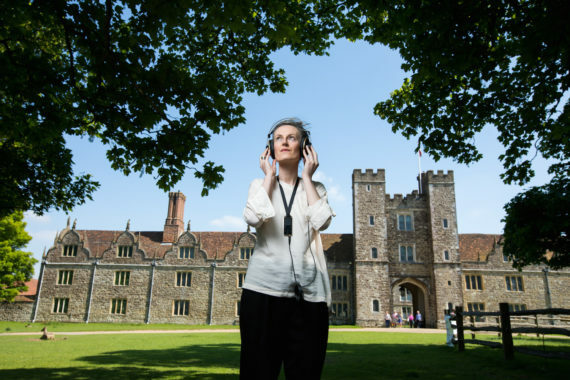 Melanie Wilson’s immersive sound piece, Women of Record, is formed around the experiences of two 17th century women who lived at Knole a generation or so apart. The work guides the listener around the building, bringing the women’s stories to life in the rooms they occupied. 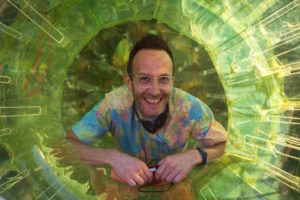 The exhibition at Knole comes under the umbrella of The National Trust’s Trust New Art programme, which seeks to connect people and heritage sites through contemporary art. 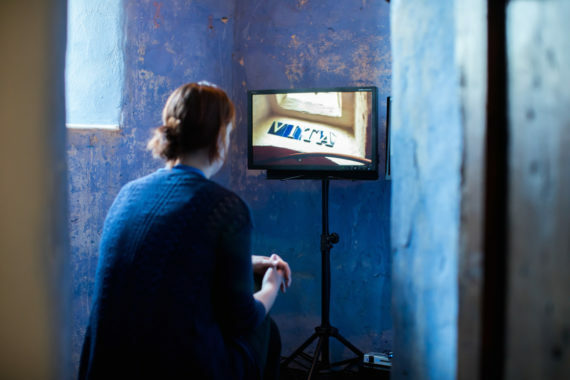 The programme attracts a high volume of proposals by artists and curators keen to respond to historic locations. Among several projects culminating this year is Transitions in Time by artists David Kefford and Sarah Evans, aka Aid & Abet, at Peckover House, Cambridgeshire. In A Lost Paradise? at Shugborough Estate in Staffordshire, filmmaker Benjamin Wigley commemorates a great 18th century flood at Shugborough. 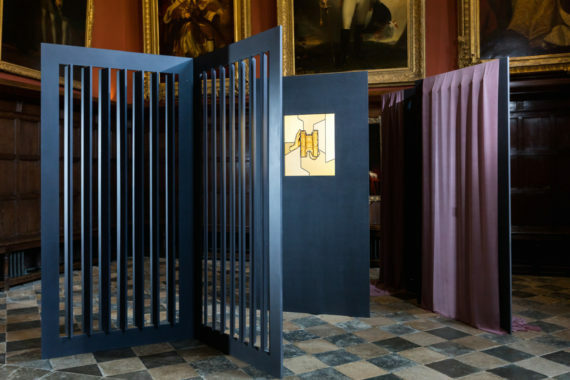 At Lindisfarne Castle, Anya Gallaccio has produced a new immersive temporary installation to celebrate the reopening of the castle after its closure for conservation. 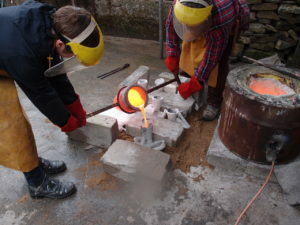 It is not only the National Trust that is active in this area, and the extent of activity has prompted a three-year research project, Mapping Contemporary Art in the Heritage Experience. Working with researchers from Newcastle and Leeds Universities, this will explore the growing interest in arts commissioning for historic spaces and its impact on audiences and artists. As part of the research, four artists have been commissioned to make temporary artworks responding to three locations: Matt Stokes will make new work for Holy Trinity Church in Sunderland; Mark Fairnington is creating work for the National Trust’s Cherryburn farmstead near Newcastle Upon Tyne; and Andrew Burton and Fiona Curran will each make work for Gibside near Gateshead.